Natural gas lies are part of a familiar pattern of disinformation propagated by the fossil fuel industry for decades. Television viewers are frequently bombarded by ads showing the good life to be enjoyed now that ample supplies of natural gas are available to consumers - and all of this with no adverse effect on the environment. Commercials boast that there’s enough natural gas for a century. Ads are paid for by companies with a vested interest and the lies are propagated by paid lobbyists. Today’s technology allows us to tap natural gas resources and protect the economy. By tapping more than a century’s worth of domestic natural gas, there is enough to power 60 million cars and 160 million households for sixty years – a secure energy future for generations to come. In the United States, the natural gas industry claims to have 100 years of natural gas supplies. But that can only happen if natural gas prices stay well above $4 per 1000 cubic feet. It may become cheaper to import Canadian natural gas. Natural gas supplies will continue to be profitable, accessible and available for consumers. However, not all shale drilling is profitable. 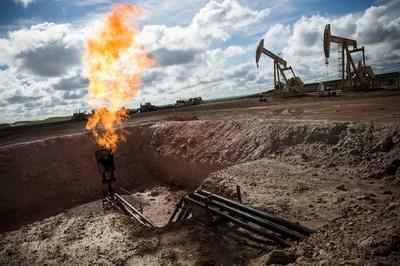 There is a long list of losers on shale properties which are walking away from their holdings or switching to fields for oil and natural gas liquids. Profitability and sustainability of natural gas from shale oil and gas drilling is another natural gas lie. Not all shale is created equal – some shale deposits are currently too costly to access and thus not competitive based on current fossil fuel prices. Fracking for oil and natural gas is safe for the environment. Hydraulic fracturing or fracking uses vast amounts of water, often in regions where fresh water supplies for human consumption are nearing depletion. Earthquake activity is on the rise in areas of the United States where shale deposits are being drilled for oil and natural gas. Fracking operations generate large amounts of toxic fluids which are harmful to humans and the environment.